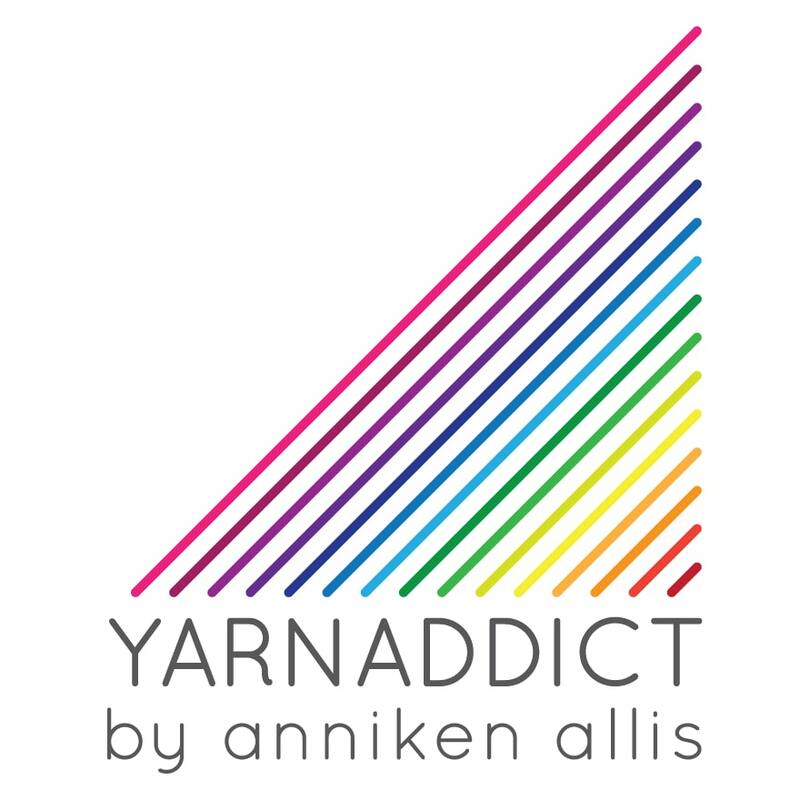 I've been playing a lot with trying to make a button to advertise YarnAddict Yarns and Anni Design lately and I need your help in deciding which one looks best. Can you tell I've got a new toy to play with? It's an online photo editing programme called Picnik. I'm planning to redo a lot of my pattern pics too. Yes, I'm afraid they may all be soft focus from now on. LOL. One thing I don't talk about enough on my blog is our church, Grace Community Church, in Cornwall. It struck me this morning that I ought to mention that our church website has a 'Sermons online' section. This is a fantastic resource where you can go online and down load and listen to sermons mainly by our Senior Pastor, John Gillespie, but also others preaching in our church. I must admit I don't take advantage of this resource myself but this morning John (our pastor) mentioned a reference to a series of sermons he did some years ago that were available on the website so I thought I ought to look it up. And some of you may find it useful too so I thought I'd share it. I'm finally recovering from my cold. I felt quite rough from Tuesday to Friday. Very dizzy at times. I had a go at dyeing some yarn on Friday. It was the afternoon by the time I felt up to it and I didn't get much done tbh. I've not touched any yarn dyeing over the weekend so tomorrow is a bit of a catch up day. I've got a shipment of wool/bamboo sock yarn, aran silk and merino/seacell 4ply and laceweight. All gorgeous yarns. What shall Idye first. Actually first i've got to finish a custom dye order then I get to play with some of the other stuff. The weather has been incredibly miserable here for the last week which hasn't helped my mood. We've had almost continous rain and strong winds. I did suggest that perhaps we ought to think about getting our Christmas tree today. There is a local place were you can walk around a field and choose your Christmas tree, reserve it and the npick it up closer to Christmas. In Norway we don't decorate the tree until 23 Dec which we call 'Little Christmas Eve' but here in England a lot of people seem to get the tree up as soon as December arrives. I just cannot stand having Christmas decs in the house for a month so I'm putting it off for as long as possible. Normally I give in the weekend before Christmas. Luckily this year Christmas Day is on a Tuesday so it means we'll probably decorate on the Saturday or Sunday so only a few days early. Oh and no, we didn't get the tree today. I decided walking around a wet and windy field was not the way to get into the Christmas spirit. Wish I was going home for Christmas............ bet they'll have lots of snow in Norway this year.............. Yes, if this rain carries on I will get homesick. I never thought I'd miss snow but I hadn't lived in wet and windy Cornwall for long before I did. If you haven't had a go at the Yarn Detective competition in the post below, get on with it now. There's a yarn prize. The competition closes at midnight tonight but if you put down your answers before I do the draw tomorrow morning then you're in the draw, if your answers are right ofcourse. Good luck!! I like the one right in the middle. It just looks really nice to my eye, and I think it would grab attention much better than the others. The others are too small. As for the yarn contest, I haven't a clue. I wish the contestants luck, though! Take care, Anni. Write when you can. I really like the second and the third - but mostly because I like the background pic the most :) If just one counts, I'd take the third! I would choose the third one down.. got to be able to read the text clearly.. they are all lovely in their own right. Stay warm and dry! howling and wet here too! I like the 2nd one, it seems the brightest, clearest one to me. Love the new buttons! You could pick any of them and it will look good. I wouldn't be able to decide either. I don't mind the rain, hate the wind, and definately prefer the snow. Lived in Washington state for a while and enjoyed it very much--except when the wind blew. The snow in Norway is beautiful this year. Check out Hege's sight (her link is on my blog) She has some lovely pictures of Norway. Nr 2 uppifrån... Älskar den närbilden som kryper in mot eno man fundera, vad ligger där runt hörnet??? Beautiful pics! All the pics are great, but the wording would really make a big difference if solid or bold, otherwise it just blurs a bit into the pic. I think the pics (2&3) are better, because they show more yarn and fill the picture. Thanks so much for the sockamania contest!! You're really pushing me to do more than I even thought possible!! I like both 2 & 3. I think what stood out to me most was the & in #2, though--it somehow seems different to be YarnAddict Yarns AND Anni Design, rather than both in one title. Not sure if that matters to you, though!